In the last decade, many companies, especially those with manufacturing operations, have evolved direct materials sourcing from an administrative function to a strategic procurement process. The embodiment of this transformation is the chief procurement officer, an increasingly common title for executives that strategically source goods and services. Transportation has followed the same evolutionary pattern, moving upstream from day-to-day freight transactions to an integral component of top-level corporate planning and procurement strategy. As a strategic process, transportation procurement may still seem very tedious and challenging. Managing bid packages, for instance, can be time consuming and complex. It is easy to understand why strategy is often set aside to meet immediate needs of getting product shipped out the door. Large and mid-size shippers typically have procurement personnel but may lack coordination across shipping locations. Smaller companies have lean shipping departments and are often focused on moving product with little time and energy remaining to negotiate contracts and analyze freight spend. Given the current market conditions, it is more critical than ever to elevate transportation procurement from a tactical to a strategic level. Despite a sharp decline in oil prices, trucking rates are expected to increase as much as five percent this year from a shortage of truck drivers and increased regulations. Rail intermodal may offer cost savings but also carries its share of challenges. Meanwhile, ocean carriers continue to deal with overcapacity; rates for Asia-U.S. routes continue to hold steady but there has been a sharp decline in the rates for Asia-Europe routes. A survey conducted by American Shipper in April 2015 found that about 60 percent of manufacturing and retail shippers plan to expand their trucking carrier base; roughly 40 percent plan to expand their ocean carrier base. Volatility in pricing trends are opportunities to lock in contractual rates, though shippers and logistics providers must also maintain flexibility to leverage spot buys as needed. Going forward, it is vital that shippers analyze their freight spend and if required renegotiate their rates regularly to remain competitive. Here are seven strategies to elevate freight management in an organization to build a more competitive supply chain advantage. 1. Be demand driven. Demand forecasts from corporate sales and operations planning should be linked to a centralized transportation planning service that has a holistic view of demand and volume requirements across all business units. When this happens, transportation planning becomes forward looking instead of looking at the rear-view mirror. Shippers can leverage predicted volumes to reduce price instead of relying on historical information. 2. Utilize technology to automate administrative tasks and make smarter decisions. Leverage technology to normalize RFP responses and analyze carrier bids at different levels of granularity. Utilize workflow automation tools to automate the RFP process and iterate over shortlisted candidates to refine your negotiations. Freeing procurement personnel from mundane, day-to-day activities lets them focus on developing strategic relationships with logistics partners. Money power and strong-arm negotiation tactics only go so far. During crunch time it is the relationships with partners that will determine who will be willing and ready to help. 3. Hire smart data analysts. People who understand the intricacies of transportation and bid responses can draw insights that lead to additional leverage in negotiations. Analysts well versed in technology, such as network modeling tools, can also look ahead and run various “what if” scenarios and simulate the impact of carrier bid responses using live shipment data. 4. Disaggregate freight spend data. When analyzing freight spend, the devil is in the details. Do the carrier rates include fuel surcharges or other accessorial charges? If so it may be impossible to conduct an apples-to-apples comparison. Information systems should evaluate each mode/equipment type individually, and display each category of charge — line haul, fuel, accessorial charges — separately. 5. Allow carriers some flexibility in bidding. When conducting a bid package, carriers may suggest alternate options that could create efficiencies for both parties. For instance, rather than bid on two separate lanes from Chicago to New York City and Chicago to Boston, a carrier might suggest bidding on a consolidated lane from Chicago to an intermediate pooling point in and split the shipments to the final destinations. 6. Keep in touch with market realities. The ability to quickly identify and capitalize on upticks and downticks in transportation rates, by various lanes and modes, is essential to create a supply chain advantage. Companies should incorporate flexibility in their procurement process and position themselves to quickly leverage spot rates or negotiate discounts with carriers. 7. Adopt performance metrics for carriers. Having a structured approach to monitoring and scorecarding carriers ensures that future decisions are based on real data instead of anecdotal evidence. Apart from negotiating favorable rates, companies should have systems that incorporate a holistic view of carrier performance with key metrics for on-time delivery, service level guarantees, sustainability and capacity guarantees. A combination of technology and a well-defined sourcing process can provide significant strategic benefits for companies looking to cut costs out of their supply chain. At the end of the day, the success of a procurement process depends on how well shippers and logistics providers manage the relationships with transportation partners. It is still a people business. Solutions that removes tedious administrative tasks and enables smarter decision making will enable organizations to leverage supply chain excellence as a competitive differentiator in the marketplace. 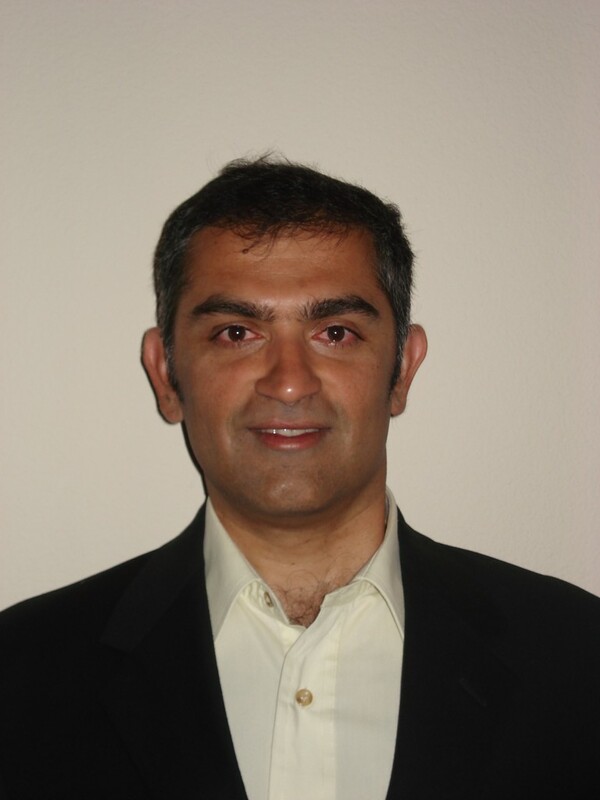 Vikram Balasubramanian has more than 18 years of experience in the supply chain space. He currently serves as Sr. Vice President, Strategic Product Development for MercuryGate International and is responsible for go to market strategy and product commercialization. Prior to MercuryGate, Vikram was VP of Product Management and R&D at E2open. Before E2open, Vikram held leadership positions in IBM, PepsiCo and i2 Technologies across various roles in product management, pre-sales and consulting.